We welcome Joseph Farnik to the CRF board of directors. 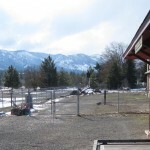 Joseph lives in the Cle Elum area and has a background in carpentry and as a general contractor. We’ve been working with Washington State Parks to develop some new displays for the museum area of the depot in South Cle Elum. This project has been going on for awhile, with various twists, turns, ups, and downs. 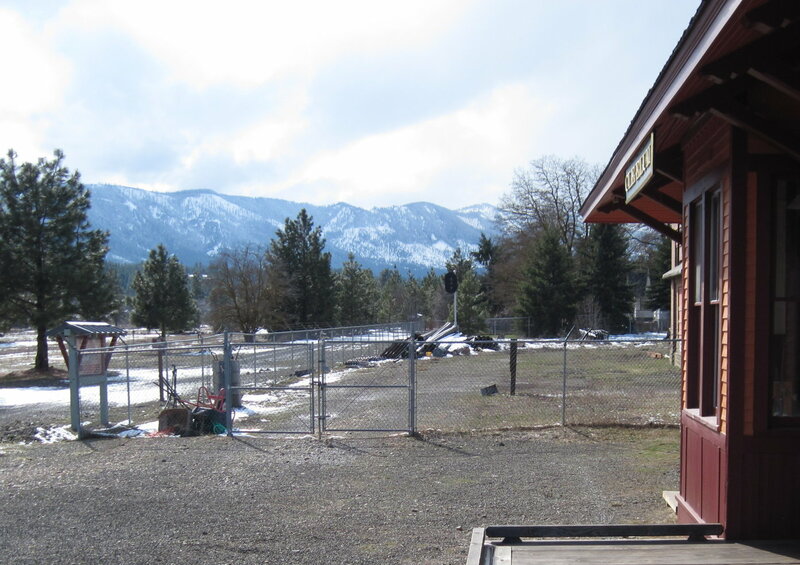 While earlier iterations of the panels broadly covered the full history of the Milwaukee Road as a transcontinental railroad, they are being revised to focus more on South Cle Elum and the depot. If all goes according to plan, the new displays should be installed by July. Some of the displays currently in the depot will be relocated to a new exhibit space that will be established in the former freight room of the depot. Our first archive work party in Burien was very productive. Thank you to Fred High, Gary Pember, Mark Borleske, and Rick Beaber for diving into the inventory work. We are meeting the third Thursday of each month. The next work party will be April 21. Contact Paul Krueger at kruegerp@nwlink if you’d like to help out. 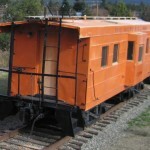 The remodeling of the Pacific Northwest Railroad Archive building is continuing. Most of the preliminary building modifications should be complete by the end of May. CRF will be hosting the Mountains to Sound Greenway 20th anniversary march participants on their way from Ellensburg to Seattle. Participants will camp in the South Cle Elum rail yard the night of July 3rd. We plan to have the depot open so they can enjoy the exhibits during their stay. If you’d like to be part of the march, contact Mountains to Sound Greenway to register. As mentioned in previous updates, the annual Rails to Ales Brewfest will be held at the South Cle Elum rail yard on July 9. The bands and some of the brewers have been announced. Tickets are $20 in advance. Check out the Brewfest web site for more information. We need both guests and volunteers for the event. Our annual potluck picnic for CRF volunteers and friends is scheduled for the afternoon of September 13. 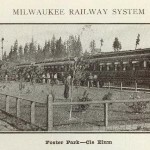 After the picnic, we are planning our first Milwaukee Road employees dinner to honor the men and women who made the history of the railroad happen. We are hoping that attendees will let us record their memories of working on the railroad. Stay tuned for more details. Our annual fall meet features a display of Milwaukee Road models on Saturday morning as well as presentations on model, prototype and historic Milwaukee Road topics. The location has not been finalized yet, but it will be in western Washington again. In addition to these planned events, we are in the early stages of talking to the Town of South Cle Elum about participating in a centennial celebration of South Cle Elum. If this event takes place, it would likely happen in August. Stay tuned for more information about that. 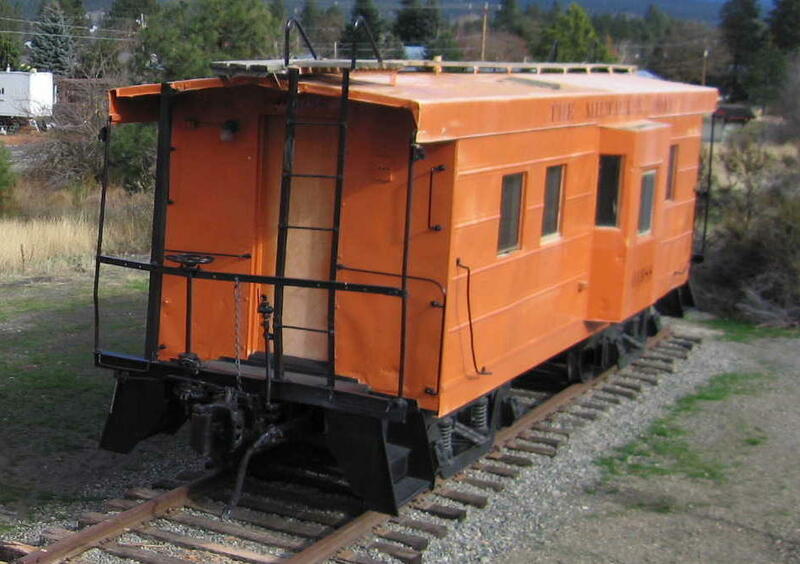 Rib side caboose restoration – The first phase of this project will include fabricating new windows and doors and repainting the exterior. Line side signals – These signals are currently installed next to the trail. This year, we plan to run wires from the signals located on the trail to the depot so they can be lighted. 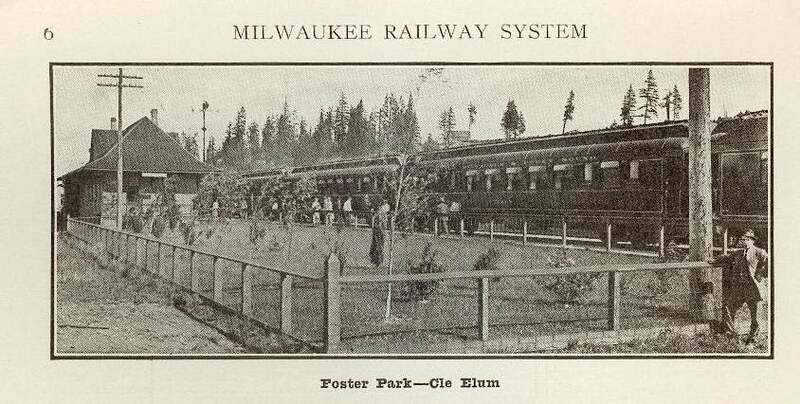 Foster Park – The area just west of the depot was once landscaped and informally named Foster Park. Historic photos suggest this landscaping may have been removed when the substation was built, but it was a lawn area afterwards. We plan to clean up this area and restore it to look the way it did after the substation was completed. We are also discussing with State Parks the possibility of making the fenced area around the substation smaller. Gateway at Milwaukee Avenue and 6th Street – The intersection of Milwaukee Avenue and 6th Street is the main entry for people driving to the South Cle Elum Rail Yard. This project would clean up the corner and install a sign welcoming people to the historic district and to Iron Horse State Park. Bungalow No. 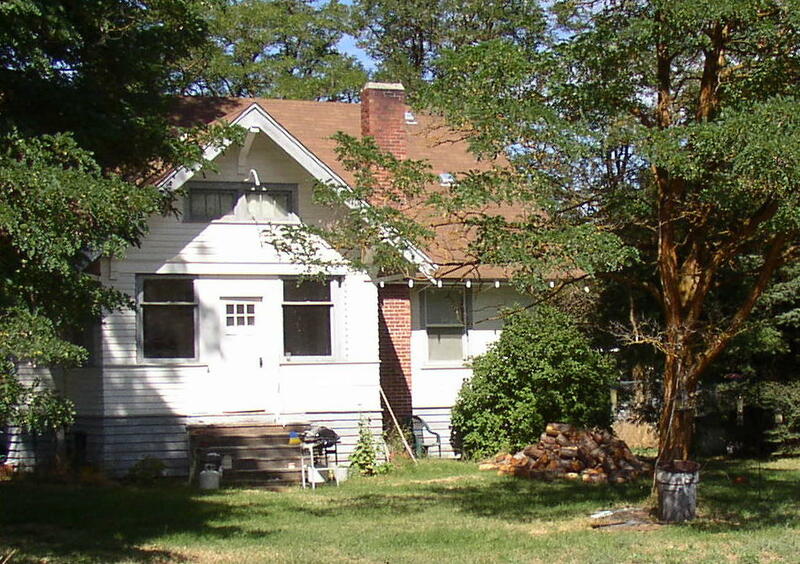 1 (Douglas Munro home) – We are developing a plan to acquire Bungalow No.1. 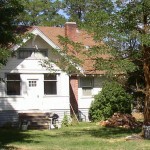 The bungalow would be rehabilitated to provide as additional exhibit space. It would likely also become home to the CRF reference library and also be used for artifact storage. Bungalow No. 1, in addition to having significance as a historic railroad structure, is also historically significant as the boyhood home of Douglas Munro. Douglas Munro, son of substation operator James Munro, joined the U.S. Coast Guard during World War II. He was posthumously awarded the Medal of Honor for his actions at the Matanikau River, Guadalcanal on September 27, 1942. Munro took charge of the dozen craft which helped evacuate the surrounded elements of the 1st Battalion, 7th Marines. Shortly after the last marine got on board, Munro was shot and killed by enemy fire. He is the only Coast Guardsman to have been awarded the Medal of Honor. If we are successful in acquiring the bungalow, the primary Douglas Munro exhibit at the rail yard would be moved there from the depot and improved. We would also develop an exhibit at the bungalow about Milwaukee Road employees and their families. We will need volunteers to help us complete these projects. If you have skills or information you’d like to contribute, please contact us.